Mikael Tillander, Håkon Repstad & Hans Axelsson, the team who brought you the original stunning Knight 'n' Grail game are BACK with an amazing new arcade adventure for the Commodore 64! The game continues the story from the original Knight 'n' Grail, but with a twist! Prepare yourself for a massive arcade adventure with lots of locations to explore, puzzles to solve, exciting boss battles and clever story twists. The COLLECTOR'S EDITION BOX SET is presented in a stunning fully printed glossy box that contains the game on floppy disk, soundtrack CD, artwork stickers, a deluxe art card, printed instruction manual, badges and glossy poster featuring the game artwork! to rule the kingdom. The plans, however, were thwarted by the brutal Titans! hideous monster! The Archmage fled into exile. • Massive map to explore. • Atmopsheric soundtracks for each location. • Power-up your character to reach new parts of the map. • Interact with characters you meet on your quest. • Lots of nods to the original Knight 'n' Grail. • Features simultaneous music + SFX. • Intro + end sequences. • Game save + load feature. • PAL and NTSC compatible. • C64mini .d82 version now included! Note to NTSC users: Scrolling sections may glitch slightly and music plays faster on NTSC machines but this does not affect gameplay. 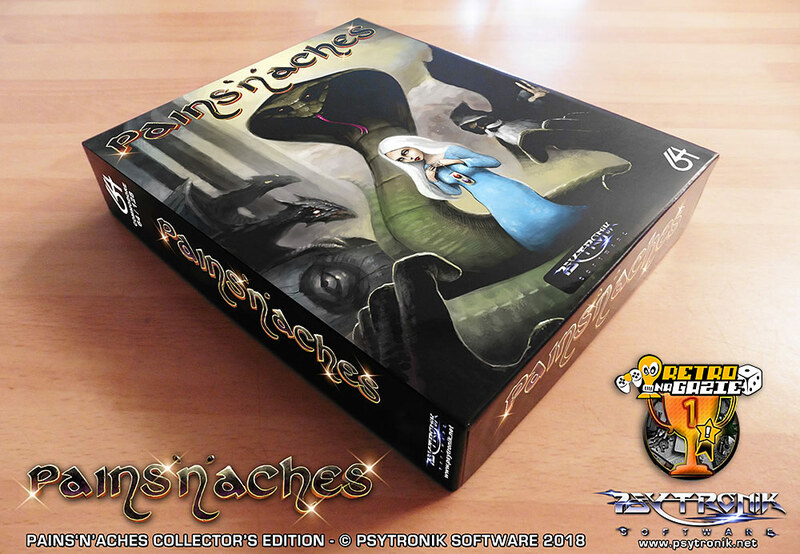 Pains 'n' Aches C64Mini .d82 version now available!